If you have always wanted straight teeth but can’t stand the thought of traditional metal braces, Invisalign may be right for you. This innovative invisible braces system uses clear plastic aligners to straighten your teeth in about half the time of traditional orthodontics. 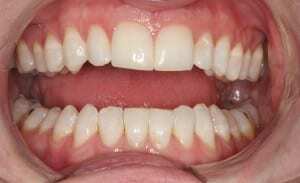 Computer technology is used to create the clear aligners, and all you have to do is insert a new set of aligners every two weeks to gradually straighten your teeth. It is comfortable, invisible, and can correct your teeth in six to twelve months, about twice as fast as traditional braces. This means that he has achieved a significant level of experience in placing this sophisticated system. The first step is a comprehensive exam where a complete set of x-rays will be taken. Dr. Bader will take into consideration several factors, including your overall dental health, your bite, any tooth crowding or spacing, and the shape of your tooth roots. Then an impression of your teeth will be taken so the computer can manufacture the aligners from this mold. When you put in your first set of aligners, you may notice that they don’t seem to fit quite right. This is normal and is because they are designed to push your teeth into a slightly new position. 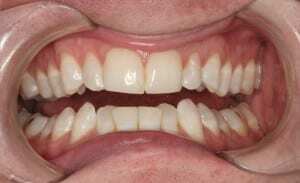 Within a few days, the teeth will move and the aligners will seem to fit. After two weeks, it is time to put in your second set to continue moving your teeth into position. The advanced computer technology is designed to slowly and steadily straighten your teeth as you move through the complete set of aligners. 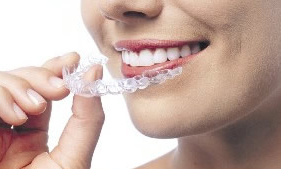 Invisalign is comfortable, unlike the wires and brackets of conventional braces. It is very convenient. You can take the aligners out to eat and to brush your teeth normally. Traditional braces come with eating restrictions, plus they collect food. Since the sets are invisible, it is unlikely others will even know that you are wearing them. Traditional braces can take two to three years to straighten your teeth. With Invisalign you will see results in about half the time. Since the aligners are removable, they require user participation. This means you must comply with Dr. Bader’s specific instructions, as well as continue through the required treatment time for optimum results. They do not work for every case of crooked teeth. Some may still require conventional braces or other cosmetic procedures. They are a little more expensive than traditional braces. For most people Invisalign is safe and effective. However, traditional braces may work better for a teenager or child since Invisalign cannot be used unless all the teeth have fully erupted in the mouth. There are also other limitations on them, so they won’t work for every patient. To find out if you are a candidate, we invite you to schedule a 10-minute complimentary consultation where you can sit down with Dr. Bader to answer any questions you may have.